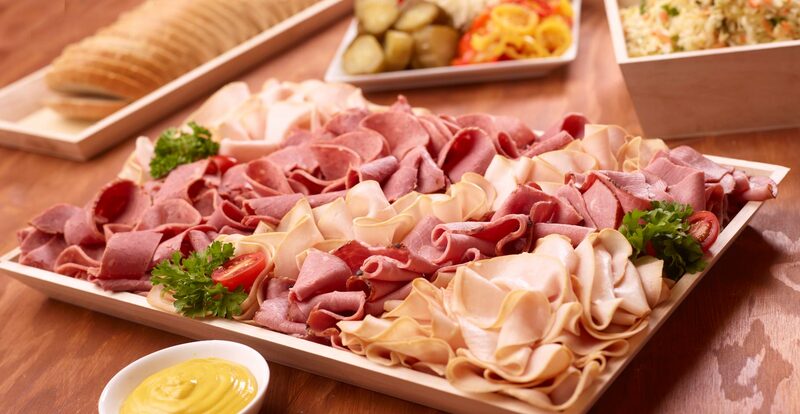 An assortment of our famous corned beef, pastrami, Montreal smoked meat,roasted turkey and old fashioned salami with a tray of dill pickles, sweet pimento, hot peppers and sauerkraut. Served with potato salad, coleslaw, sliced rye bread or rolls and mustard. HAVE YOU CONSIDERED ADDING BEVERAGES TO YOUR ORDER?